Betty Arnold, 89, passed away Tuesday, November 6, 2018 in Chattanooga. 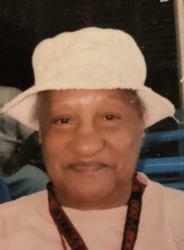 She leaves to cherish her memories her cousins, Jacqueline Cooper, John DeBardeleben, Brenda Houston, Vanerette Hayes, Vodie DeBardeleben, Dillard DeBardeleben, Berbena Wynn, Wyleatha Lewis, Charlesetta Jackson, and other relatives. Arrangements by John P. Franklin Funeral Home, 1101 Dodds Avenue, 413-622-9995.